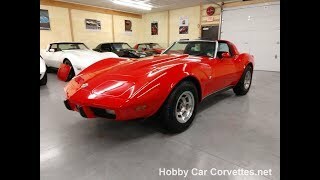 Hi, I am interested in your 1978 Chevrolet Corvette listed on Autotrader for $17,000. I'd like to get more information about this vehicle and confirm its availability. Numbers matching, L48/350 motor, automatic transmission, black leather interior, 27,613 miles on dash (title is exempt for mileage), alloy wheels, power steering, power brakes, power windows, A/C, sport mirrors, dual exhaust, Flowmaster mufflers, AM/FM/Cassette, and much more.